While looking for a Blue tooth headset that doesn’t look like all the others on the market, we stumbled upon the EX-01 made by Messiah Entertainment that offers 4-6 hours of continuous talk time and charges via USB. 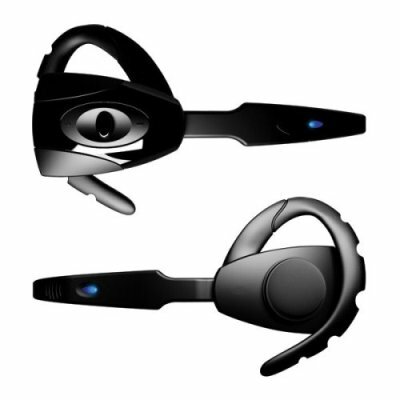 We’re taking bets that this headset will show up in a low-budget science fiction “made-for-TV-movie” within months after it is released in May. THIS IS UTTERLY WRONG! I have this headset. It was origianally designed and made by a small company called Gioteck. This company has stolen the exact same design and taken the Gioteck logo off. They have also stolen some others, such as the name “Darklite”, and the curved triggers for the sixaxis. Unless, of course, Gioteck is part of Messiah Entertainment, or vice versa.